Imagine “Cirque du Solei” on the water, pulled by 2,000 horsepower, and you’ve got the right image of the Ski Broncs. Open your e-magazine now to learn more about the Ski Broncs. Your Home: Is Your Lawn Mower Blade Sharp? 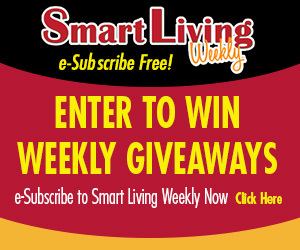 Congratulations to Wendy Edgington of Rock City, this week’s Smart Living Weekly giveaway winner! Wendy takes home 2 Angelica Bracelets from J Kamin Jewelers, in Rockford. Next week’s giveaway is $50 off on a 5 step fertilizing programs from Ewald, in the surrounding Rockford area. Enter now by visiting northwestquarterly.com/contest. This entry was posted on Wednesday, May 11th, 2016 at 5:00 am	and is filed under News & Events, Smart Living Weekly. You can follow any responses to this entry through the RSS 2.0 feed. Both comments and pings are currently closed.